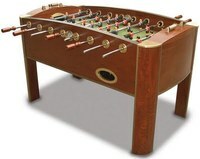 The Python Hydro foosball table is a toy game table intended for children who are looking for the novelty factor rather than actual game play. 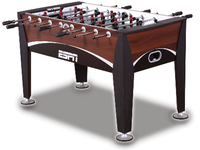 This table is designed for players who want to just smack the ball and spin the rods, but it is not recommended for people who are interested in learning and mastering the game. 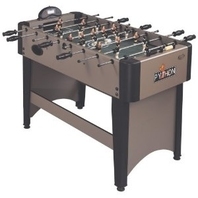 Cheaper tables have sluggish moving rods, many dead spots, uneven table surfaces, cheap foosball men and many other problems that are not attractive to serious foosball players. 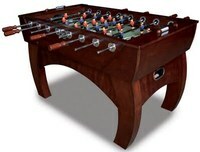 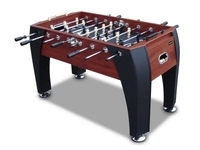 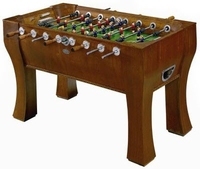 This foosball table is priced around $100 US.